On Tuesday July 12th, VMware CEO Paul Maritz and CTO Steve Herrod are hosting a large campus and worldwide event where they plan to make announcements about the next generation of cloud infrastructure. In addition, by attending live you also have the chance to win a free VMworld pass. More details on that and how to win here. I’m pretty excited both personally and for VMware. This is going to be huge! 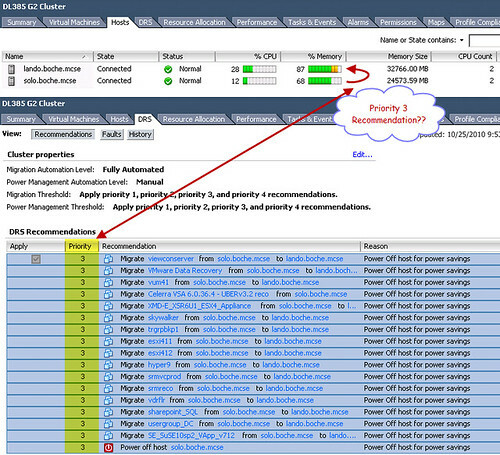 A few months ago I was troubleshooting a problem with the Overview charts in the Performance tab of the vSphere Client. 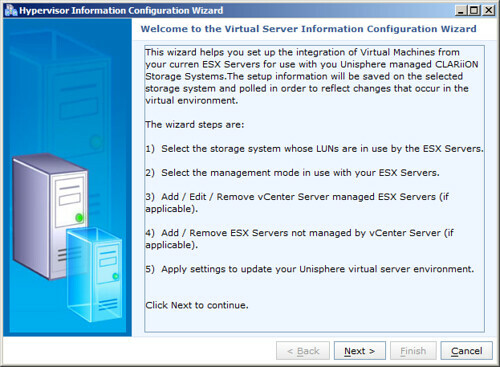 This was a vSphere 4.0 Update 1 environment but I believe the root cause will impact other vSphere versions as well. 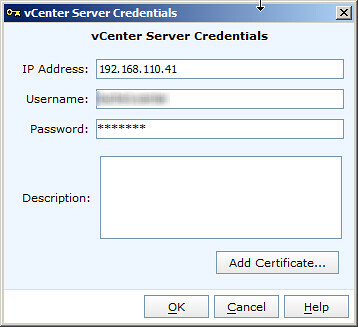 One unique aspect of this environment was that the vCenter database was hosted on a Microsoft SQL Server which used a port other than the default of TCP 1433. 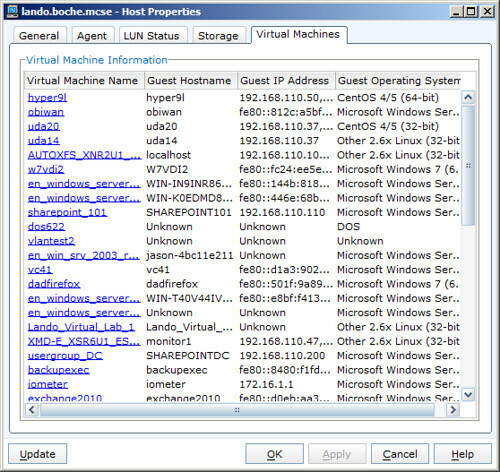 VMware KB Article 1012812 identified this as the root cause of the issue. 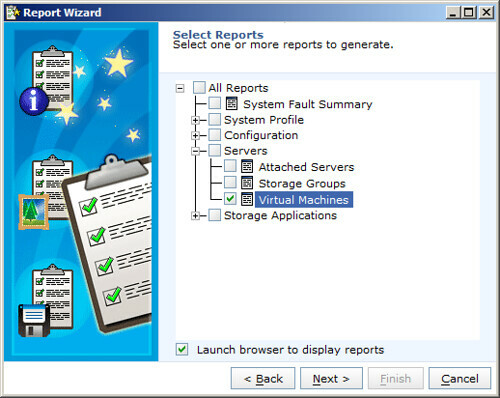 Don’t forget to restart the vCenter Server service after saving the statsreport.xml file. 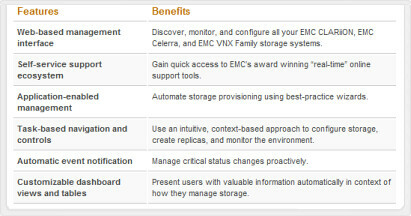 If you manage EMC unified storage running at least FLARE 30 and DART 6, or if you’re using a recent version of the UBER VSA, or if you’re one of the fortunate few who have had your hands on the new VNX series, then chances are you’re familiar with or you’ve at least experienced Unisphere, which is EMC’s single pane of glass approach to managing its multi protocol arrays. For what is essentially a 1.0 product, I think EMC did a great job with Unisphere. It’s modern. It’s fast. It has a cool sleek design and flows well. They may have cut a few corners where it made sense (one can still see a few old pieces of Navisphere code here and there) but what counts for me the most at the end of the day is the functionality and efficiency gained by a consolidation of tools. 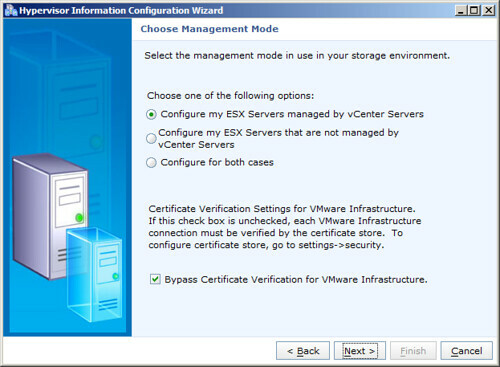 You’re probably reading this because you have a relationship with VMware virtualization. Anyone who designs, implements, manages, or troubleshoots VMware virtual infrastructure also has a relationship with storage, most often shared storage. Virtualization has been transforming the datacenter, and not just it’s composition. The way we manage and collaborate from a technology perspective is also evolving. Virtualization has brought about an intersection of technologies which is redefining roles and delegation of responsibilities. One of the earlier examples of this was virtual networking. With the introduction of 802.1Q VST in ESX, network groups found themselves fielding requests for trunked VLANs to servers and having to perform the associated design, capacity, and security planning. Managing access to VLANs was a shift in delegated responsibility from the network team to the virtualization platform team. 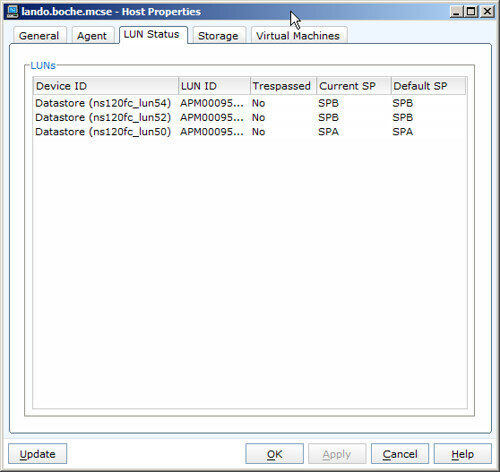 Some years later, implementation of the Cisco Nexus 1000V in vSphere pulled most of the network related tasks back under the control of the network team. Storage is another broad reaching technology upon which most of today’s computing relies upon, including virtualization. Partners work closely with VMware to develop tools which provide seamless integration of overlapping technologies. 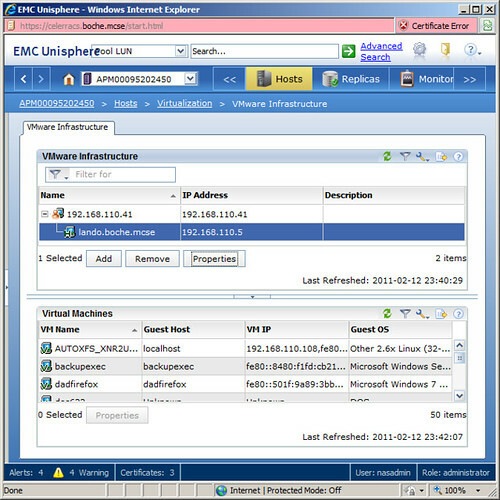 Unisphere is one of several products in the EMC portfolio which boasts this integration. Granted, some of these VMware bits existed in Unisphere’s ancestor Navisphere. However, I think it’s still worth highlighting some of the capabilities found in Unisphere. EMC has been on an absolute virtualization rampage. I can only imagine that with their commitment, these products will get increasingly better. I see your infrastructure. Would you like to add or remove items? 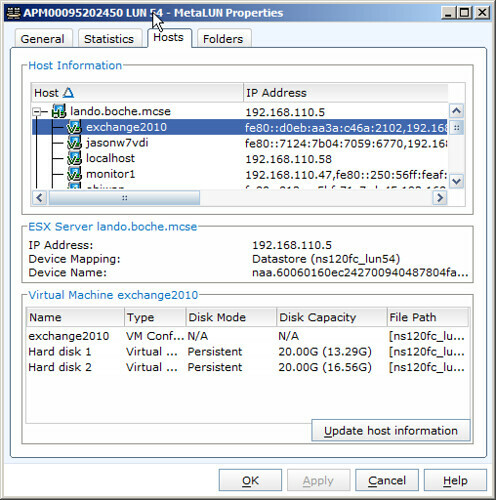 There are a few situations which can invoke the age old storage administrator’s question: “What’s using this LUN?” From the Storage | LUNs | Properties drill down (or from Storage | Pools/RAID Groups), Unisphere ties in the ESX hosts connected to the LUN as well as the VMs living on the LUN. Example use cases where this information is pertinent would be performance troubleshooting, storage migration or expansion, replication and DR/BCP planning. 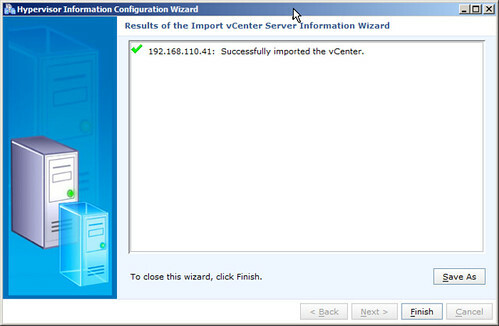 VM integration also lends itself to the Unisphere Report Wizard. Here, reports can be generated for immediate display in a web browser, or they can be exported in .CSV format to be massaged further. 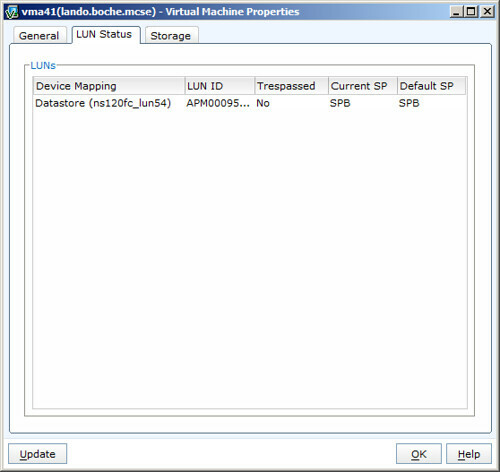 In addition to that, you can download the FREE UBER VSA and give Unisphere a try for yourself. Other EMC vSpecialist demos can be found at Everything VMware At EMC. With all of this goodness and as with any product, there is room for improvement. I mentioned before that by and large the vSphere integration code appears to be legacy which came from Navisphere. Navisphere manages CLARiiON block storage only (fibre channel and native CLARiiON iSCSI). 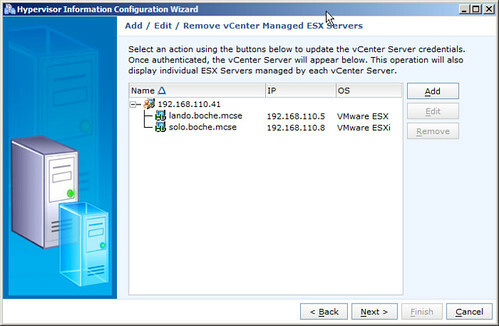 What this means is that there is a gap in Unisphere/vSphere integration with respect to Celerra NFS and iSCSI. 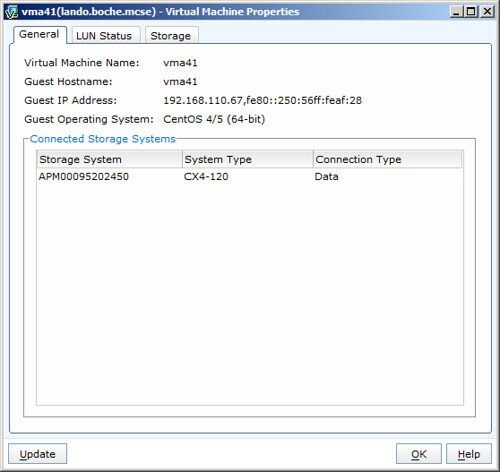 For NFS, EMC has a vSphere plugin which Chad Sakac introduced about a year ago on his blog here and here. While it’s not Unisphere integration, it does do some cool and useful things which are outlined in this product overview. In medium to large sized environments where teams can be siloed, it’s integration like this which can provide a common language, bridging the gap between technologies which have close dependencies with one another. 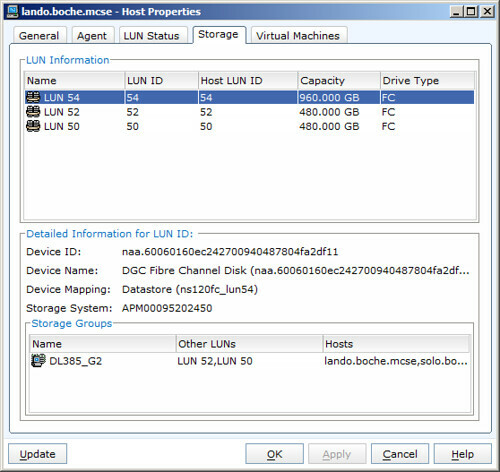 These tools work in the SMB space as well where staff will have both virtualization and storage areas of responsibility. 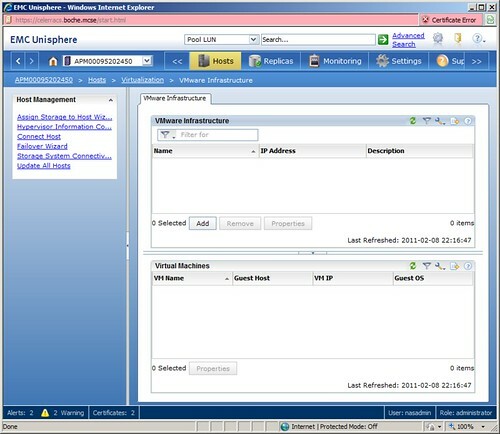 vSphere integration with Unisphere can provide a fair amount insight and efficiency. I think this is just a slight representation of what future integration will be capable of. VMware’s portfolio of virtualization, cloud, and data protection products continues to expand. 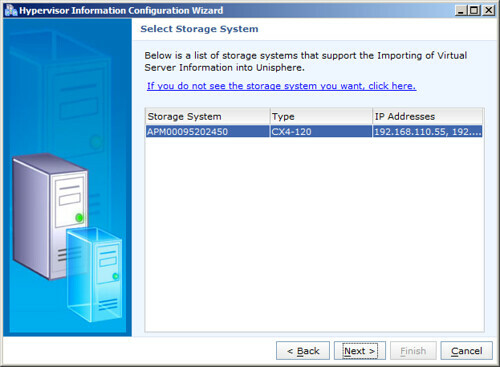 Each and every product VMware delivers is dependent on storage. There is a tremendous opportunity to leverage each of these attach points for future integration. vShield Zones 4.1 Update 1?? Will this be the last release of the ESX hypervisor in history? 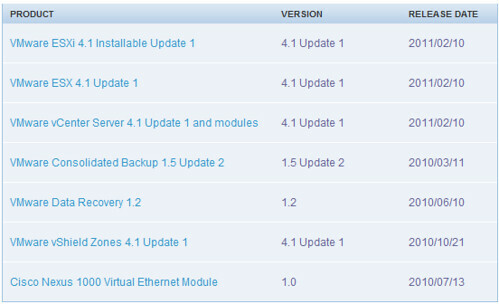 Thus far, I haven’t seen that the HP, IBM, and Dell versions of ESXi 4.1 Update 1 are available for download yet. They typically follow the VMware GA release by a few weeks. Daylight savings changes this weekend allow many folks to get an extra hour of sleep. 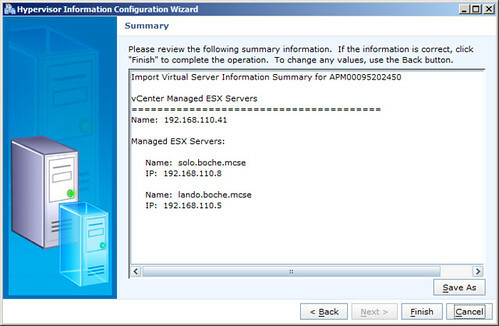 However, a VMware vSphere 4.1 bug has surfaced which may spoil the fun. I receive email updates from Xtravirt at regular intervals – about one every week or two. 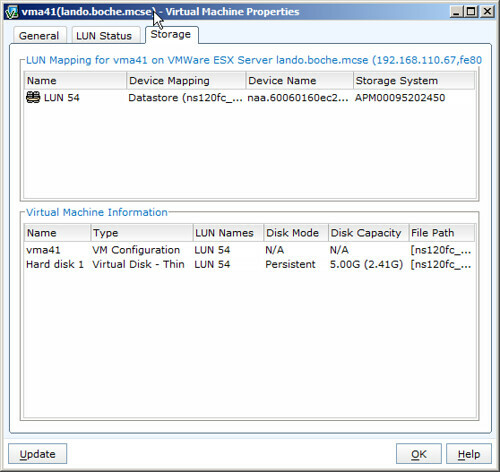 Each update contains new virtualization content as well as links to their most popular content. I find the content very interesting and always look forward to opening new email from them. I think this speaks volumes considering how much of a chore email can be at times. If this sounds appealing to you, head to their site and look at the bottom of the page to sign up for the Xtravirt Newsletter. No purchase or invitation necessary.